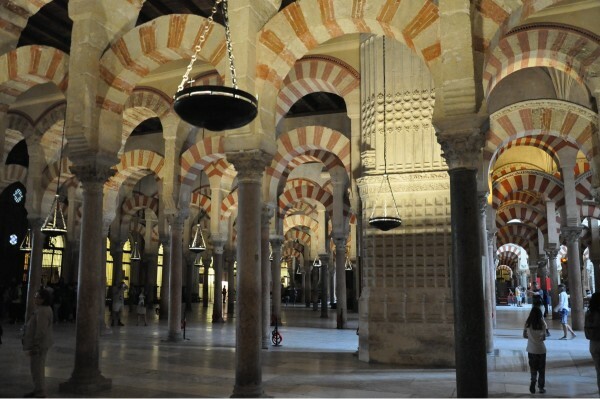 Our final stop of the trip, and the only major city, was Cordoba, high on June’s list of “must sees”. Straight into the Aire (well almost, just the one one block circled a couple of times) which amazingly is situated just across from the San Basilio gate to the old city. 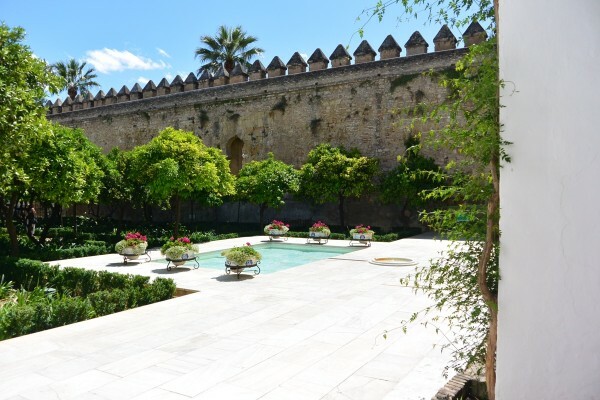 It was also the La Fiesta De Los Patios De Cordoba when many of the old Cordoban houses open their doors to their stunning flower filled patios (or courtyards) to the public. therdral. 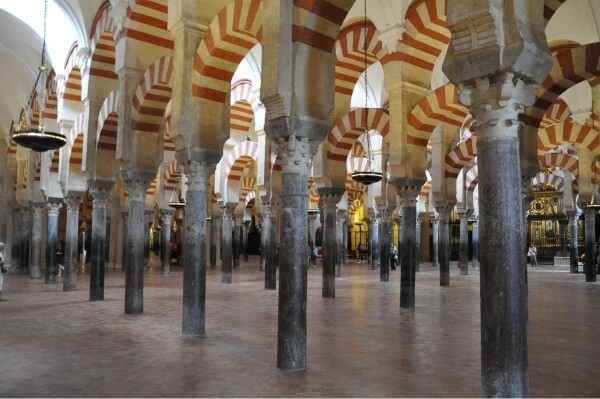 Both pay homage to the City’s previous rulers – the Romans, the Moors and then the Spanish creating a unique blend of faiths and history. 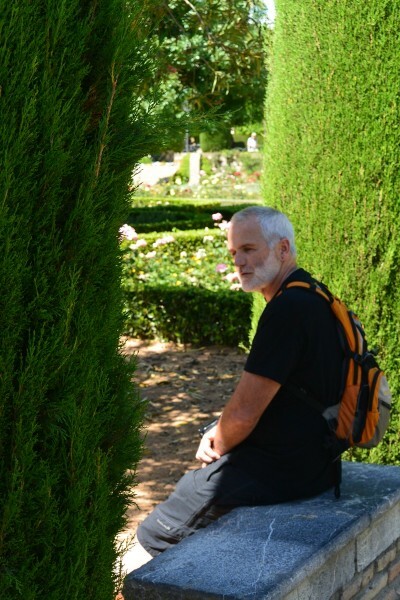 From there we wandered around the old Jewish quarter before going to the Alcazar (entry €4.50) which although built as a palace fortress for the Christian has a Moorish inspired garden. Not quite the Alhambra in Granada, but still beautiful. Our final day before beginning the journey back to the UK. We headed back into town and decided to take one of the City Sightseeing Red Bus Tours to see if there were any other parts of the city we had missed. It turns out we hadn’t and much of the rest of the city was very much like most modern Spanish cities with the big department stores and international chains. We spent the afternoon wandering the maze of white-washed buildings which make up the old town doing a little shopping on the way. A temperamental fridge meant that we had to throw away a considerable amount of food earlier in the day so we had the perfect excuse to go out for dinner that evening and the perfectly balmy evening meant we could eat outside at the Restaurante Puerta Sevillle (also recommended for drinks on the way back to the Aire following a hard day’s sightseeing! ).